What a week this has been. It started with a simple process: replacing a monitor. By the end, I had to replace my primary computer. And I discovered something very important for you to know about Windows – especially Windows 10. I’ll give a brief summary of what happened. I use 2 monitors on my main desktop computer. I’ve done this for years. If you ever set up your computer to use dual monitors, you’ll never go back to one because it’s so nice to have all that space for everything. My left monitor had been dying a slow death for several weeks. I knew it was going bad, because every time I restarted my computer, the right monitor would come on fine, but the left monitor would come on for about a half second, then shut off, then come back on for a half second, and that cycle would continue. When it first started doing that, it would go through that cycle for about 30 to 60 seconds before it would come on and all would be fine. But as time went by, that cycle would last for a longer period of time. Last week it had gotten to the point where I was waiting about 10 or 15 minutes for it to be completely powered up, so I decided to go ahead and switch it out. I had another set of dual monitors that I really like, so I went ahead and switched out both of my current monitors for this other matching set. Got them all hooked up, and got no video signal from the computer to either monitor. I knew the monitors were working, so this was kind of odd. Tried various connection changes, still no luck. So I tried putting a different video card in my computer. In fact, I tried a few video cards. Not only did this not work to get a video signal, now my computer won’t boot up properly. It would start up, run for about 30 seconds (with no video signal), then power down and start up again. This cycle continued indefinitely. So now this has gone from a simple monitor switch to a major computer issue. And this was on Friday. I usually write my blog and record my podcast on Saturday, for publication on Monday. Looked like that was going to be a tough deadline to meet now. As a side note, I’ve had some people ask, “Why not just use a different computer to do the blog and podcast?” It’s true, I have other computers, including the ones I have for sale. The problem is the software. I use Adobe Audition to record my podcast, and I also use Photoshop to edit the photos on my blog. Getting those installed on different computers, as well as the time it takes to write the blog and record the podcast, was just too much to fit in while I was in the process of buying a new computer and getting it all set up. So I just sent out an email to my subscribers (and posted on my website and on Facebook) to let everyone know there would be no blog or podcast on Monday. First time I’ve ever had to do that so it felt kind of weird. Even before this purchase, Lenovo has been becoming my favorite brand of computer. They look nice and they work so well. This desktop computer (so far) further confirms this and I’m very happy with it. It has an i5 processor, and although I got it with 8 gb of memory (RAM), I took some of the memory sticks from my old computer and upgraded the memory on this new one to 20 gb. Nice and fast, and very quiet. Fan noise is a factor, since it sits on my desk and I really don’t want the sound of computer fans to provide the background noise for my podcast. The only thing that made me hesitate about buying this computer is the operating system on it: Windows 10. You probably already know my feelings about Windows 10. For over a year I’ve been telling people to avoid upgrading from Windows 7 or 8.1 to Windows 10. Partly this was because of the obnoxious practices Microsoft was using to get Windows on every computer. Partly it was because Windows 10 has caused compatibility issues with so many of my clients. And partly it was because I just don’t like the user interface (mainly the Start button/Start menu). I’ve also said that for some people, Windows 10 functions properly. Fortunately I can (so far) count myself among those people. My printer was compatible with it (I’ll come back to that in a minute) and all of the drivers were there with no issues. And from a practical standpoint, I needed a computer sooner rather than later, and Windows 7 computers are gradually becoming harder to find. This Lenovo met all of my other requirements, so I went ahead and made the decision. I also knew that if it were a total disaster, I could at least try to wipe it and install Windows 7 on it (that doesn’t always work either, but it was a potential option). The next step was to get the new computer all set up with my stuff. As you probably know, I do several backups every day so I definitely was not going to lose any of my important files or folders. Those were all safely stored on 2 different drives as well as the cloud (Carbonite). The real issue was getting all of my software on the new computer. I had recently learned about a piece of software that will take everything from an old computer and transfer it to a new one (including Windows, all of the programs, all of the data, everything). But rather than use that, I made the decision to just manually reinstall all of my software on the new computer. Over the years, I had a lot of programs on my old computer that I really didn’t use any more. This slowed things down, and it also made my backup very large (my overnight system image backup was taking about 7 hours every night). So I figured this was a good opportunity to start “clean” with this new computer and just put on the stuff I needed and used regularly. This also meant a huge amount of time-consuming work, but now that it is mostly done I think it was worth it. My backup overnight now takes about 2 hours and this computer is also super-fast. Maybe a little sadistic, but I thought it was funny. So thanks for the laugh Chester! System Restore is a function that’s built into Windows. It allows you to take your computer back to the state it was in at an earlier point in time (hours, days or even weeks earlier). It does not affect your Documents or Pictures or other personal files, just your computer’s software, the registry, etc. 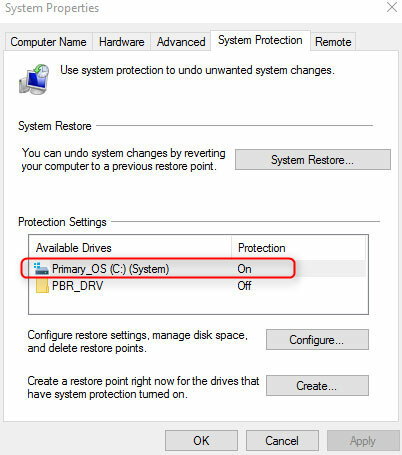 System Restore is a very handy tool for technicians to use in a variety of situations, so you want to make sure it’s always enabled. For some reason, Microsoft has set up Windows 10 so that System Restore is disabled by default. That means you need to go in and enable it manually. To do this, hold down the Windows key and tap the letter X, then click on Control Panel. Click on “System”, then in the top left click on “System Protection”. 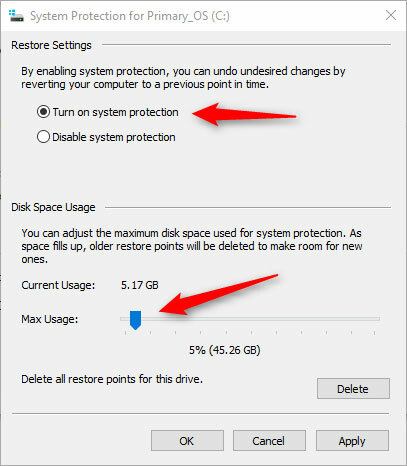 Look in the middle under “Protection Settings” for your C drive and see if the protection is on or off. If it’s on already, you’re fine. If it is designated as off, you can turn it on by just clicking the “Configure” button and in the next window, click “Turn on system protection”. I also usually set my disk space for this to about 5% but you might want more or less than that, depending on how much free space you have. Then just click OK.
And by the way, you shouldn’t only check this setting if you have Windows 10 – you should check it and make sure it’s enabled no matter what version of Windows you are using. In some cases, when I’m fixing a computer, System Restore can mean the difference between a 15 minute fix and a 3 hour fix. When you’re paying by the hour, that’s a big difference! Yes, the one I use is Classic Shell. Definitely helps, especially with Windows 8. Craigslist for a new computer, that’s interesting, Scott. 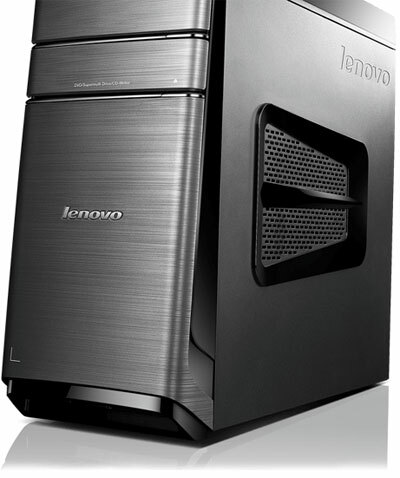 Is the seller someone with a Lenovo background who gets excellent equipment through his/her contacts? How did you check that the Windows 10 OS is genuine? Did you have a genuine copy of Microsoft Office to install? Thanks for sharing your most interesting issue! I use the Stardock START app. It’s great – gives you back your familiar start menu. Heard of that one but have not used it. 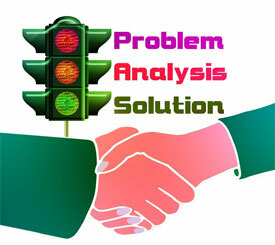 There are several available but some of them are a little tricky with ads and other “junkware”. Scott, I have to master folders, one Images and one Data. Every thing I have in under a subfolder in one of the two master folders. I use synctoy2.1 to back them up incrementally. Synctoy is free from Microsoft and I’ve used it for years. I also have some of the most used subfolders I can back up without going through all my 535,000 images. It takes just two minutes or so and is so easy to use I love it. Ran into your website for the first time, great content! I have tried to stay away from Windows 10 myself as I’m not a fan of the interface but being a Computer Repair Technician always have to stay up to date. I have a system in my shop that I play around with and not to mention the hundreds of systems that “Auto Updated” and rendered them unusable. I was not aware of the System Restore being disabled by default. I find that very odd but not surprising. Interestingly, my computer broke in almost the same way last week with what started off looking a failed graphics card. I took the card out and booted with the screen plugged into the on-board slot. Then the same thing happened. The computer would boot and then shut down automatically with no beeps or nothing. I repeated the process back and forth, and after checking and unplugging everything, out of sheer desperation, I removed the mobo battery, and put it back in. I have no real explanation for what happened or how that actually worked. I just say thanks, call it IT magic, and file it under Mysteries. If anyone can help me understand how that worked, I’d love to hear from you. Interesting. I had not thought about the CMOS battery having any effect. I still have that machine so maybe I’ll try that and see if it makes any difference. You may have covered this in the past but I will ask again. How do you match system speeds. I mean I buy a fast computer, then a router then sign up for internet service. If my internet supplier is giving me a low speed why buy any thing better beyond that point of delivery point.